Nutrition While beans are packed with nutrients and protein, I try not to focus unduly on nutrition facts, like how Food G has XYZ nutrients while Food S has ABC nutrients. This approach turns healthy eating into an arithmetic problem, and most of us never liked arithmetic to begin with. 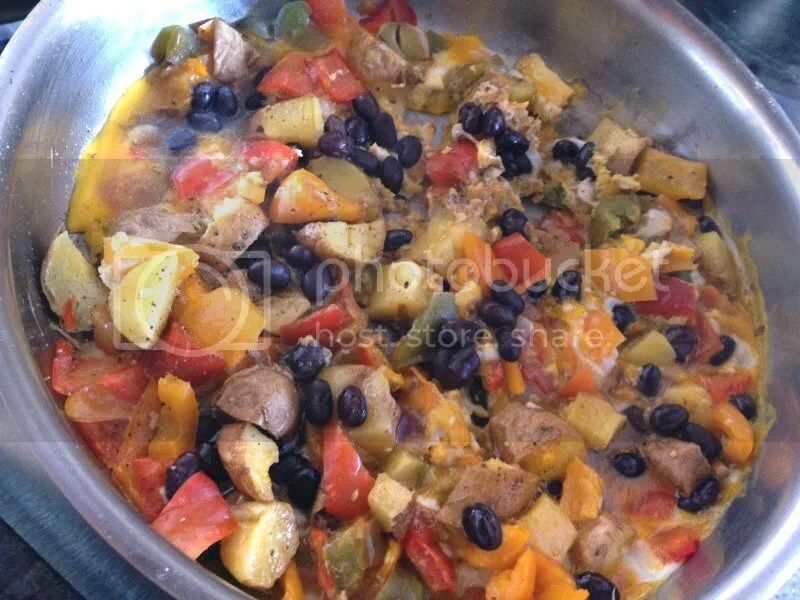 See the great color black beans add to this Pepper and Potato Scramble; better nutrition is automatic! Instead, I like to focus on fun things like textures, colors and complimentary tastes. And guess what? Great nutritional content automatically follows. That’s why I push beans. They add incredible color and texture to a dish that might otherwise be pretty bland (think a cheese quesadilla.) Add colorful beans and you’ve not only painted a more beautiful plate, but your nutritional density has just soared. Now, just add some green peppers. . . and a few sauteed red radishes. . . .you get the picture! You’ll note that I’m only giving you general ideas, since recipes are all over the internet–and in the three dozen cookbooks languishing in your kitchen! If you can just narrow your options so the task is manageable, then finding a recipe is easy. So pick one, just one, idea from this post series then find a recipe to match. Once you get going, ideas will snowball. Butter Beans in the pantry, ready for adventure. Play Go on a treasure hunt at the grocery store. It only takes a couple minutes to find a bit of inspiration, but it will lighten your daily meal making routine immeasurably. 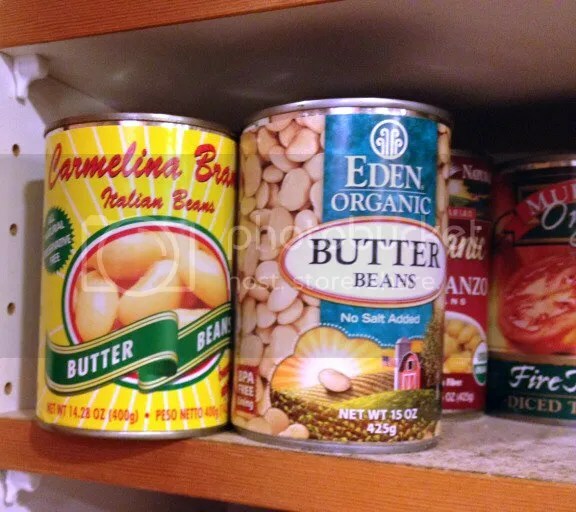 On my last shopping trip, for instance, I ran across a can of Butter Beans that will serve as a springboard for inspiration in the coming week. Troublesome Issues of the Gaseous Variety The downside of beans, of course, is the intestinal havoc they can cause. Surely you’ve seen the many possible solutions in various articles. Here’s my best advice: Avoid eating sugar when eating a meal featuring beans. I have no scientific study to back me up, but the sugar seems to ferment the beans with all the explosive consequences of fermentation in a tight spot. Give it a try and see if this helps.